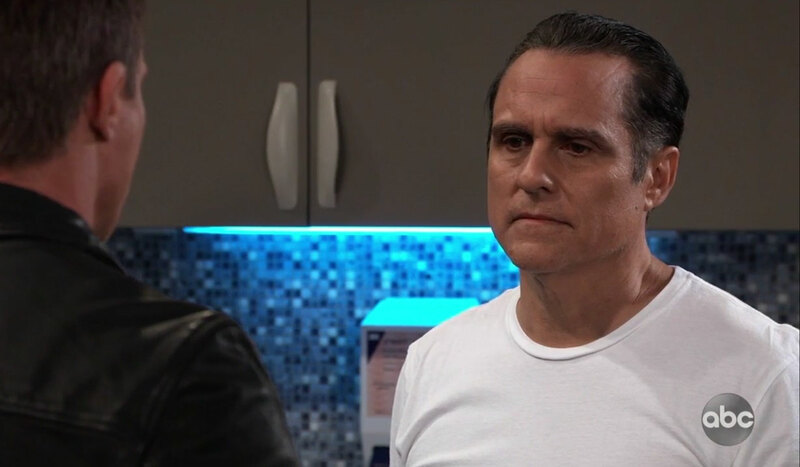 Friday March 22, 2019: On General Hospital today, Dante returns home to Lulu, Sonny learns about Kristina's situation, Griffin decides to leave Port Charles, and Kevin is arrested. Sam meets with Jason at General Hospital and tells him that Shiloh has agreed to be her personal mentor at Dawn of Day. Jason warns her that Sonny is back, and Sam begs him not to let Sonny do something that could compromise her plan or Kristina. In an exam room, Carly is reunited with Sonny, whose arm Lucas is patching up from a gunshot would. Sonny brings her up to speed on finding Dante, who was the one who shot him. She’s angry, but glad he brought Dante home. In Willow’s classroom, Shiloh confronts her about disappearing on him, but knew he’d find her eventually because they are destined. She demands he leave, but he refuses because she promised to never leave him and broke that promise. He wants her to come home to her family. Chase brings Laura in to see Jordan, who is working with Margaux. Jordan just spoke to the Canadian Mounties and they have not found Ryan’s body, but both they and the US government have declared him dead and called off the search. Laura is worried he could still be out there, and Jordan promises the PCPD are on alert. Margaux stuns Laura by informing her that she plans to charge Kevin as Ryan’s accomplice. On the docks, Kevin is attacked by Griffin. 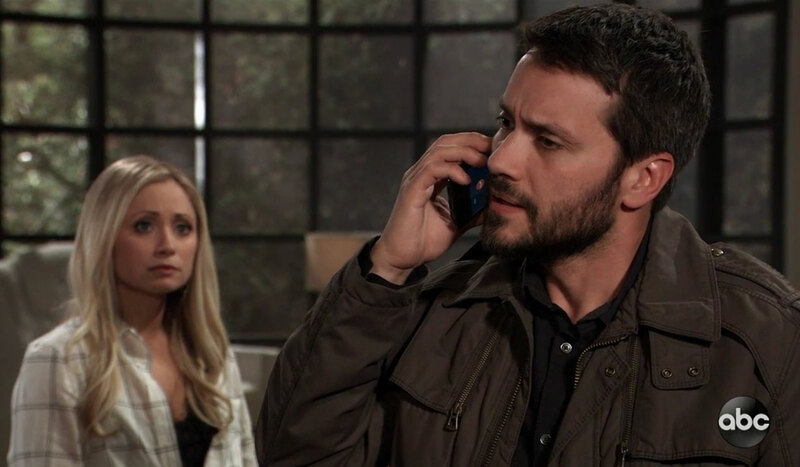 Ava finds them and yells at Griffin to stop because he’s not Ryan, but Griffin knows and blames Kevin for his part in Ryan’s murders for keeping his brother a secret. Ava begs him to go home because Kiki would not want Kevin’s blood on his hands. Griffin storms off, and Ava asks if Griffin was speaking the truth and he knew Ryan was alive. Kevin admits his guilt. She offers to call an ambulance for him, but he refuses because a police report will be filed, and he doesn’t want to make trouble for Griffin. She refuses to leave him and calls Julian for help. At home, Lulu panics when it appears someone is breaking into her home and is shocked when Dante walks through the front door. She runs into his arms and they kiss. He apologizes for leaving her and not being there to protect her. She only cares that he is home. Dante gets a call from Frisco, who calls to congratulate Dante on a job well done. Later, Dante and Lulu make their way to the bedroom and make love. As they roll over and kiss, Dante’s exposed back is covered with scars. Julian runs into Brad and Wiley at Kelly’s. Brad is uneasy after reading an article in Dr. Obrecht’s column about adopted children inheriting problems from their birth parents. Julian tells him to relax. He gets a text from Ava and has to run. Back at GH, Griffin walks in and Lucas notices his hands are raw and he appears to have been in a fight. He tends to Griffin and wonders what happened to guy he went to med school with that everyone was jealous of. Griffin feels lost and doesn’t feel he can fix himself in Port Charles because he’s haunted by too many ghosts. He asks Lucas to take down a note and dictates his resignation to Monica. Meanwhile, Carly and Jason fill Sonny in on Ryan Kristina’s involvement in Shiloh’s cult. Later, Carly and Sonny head to the elevator to go home they run into Griffin, who explains he is leaving town and has referred Sonny’s father to a fellow doctor who will take good care of him. Griffin takes a last look around the hospital before exiting. Chase walks into Willow’s classroom, having been texted by her. Shiloh introduces himself to Chase, and Willow explains he was just leaving. Shiloh whispers to her that his door is always open for her. 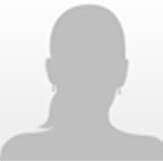 Once alone, Chase can see Willow is petrified of Shiloh and deduces she was a former cult member. He asks if Shiloh is the father of her baby. A cop patrolling the docks and thinks Kevin is Ryan and places him under arrest, refusing to believe a drunken Ava who tells him that he has the wrong man. The cop takes Kevin off, and Ava throws her ring from Ryan into the water. Julian arrives and finds his sister plastered. Suddenly, Ava gets a call from an unknown number and answers it, but the person on the other end says nothing. She panics and thinks it’s Ryan. 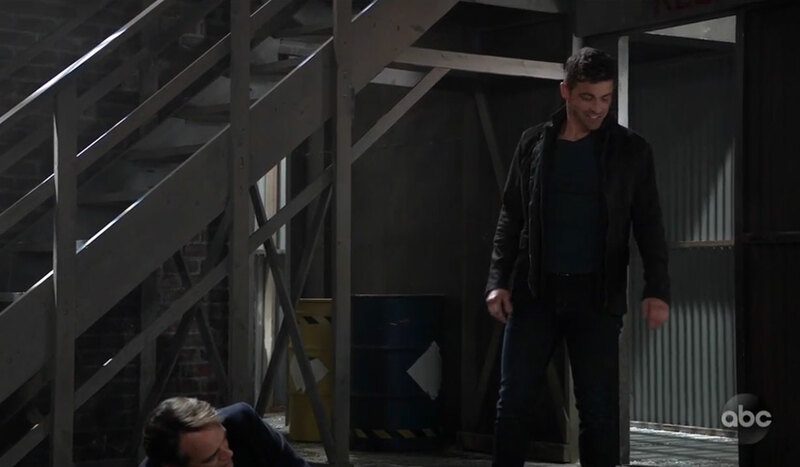 Back at Kelly’s, Sam and Danny run into Brad and Wiley, and Shiloh finds them together. Wiley throws up on Sam’s jacket, so she leaves Danny with Shiloh while she cleans up. Shiloh introduces himself to Danny and hopes they can be friends. Outside, Jason watches and fumes. At the station, the cop brings Kevin in and Laura identifies him as her husband. Jordan questions Kevin about his treating of Ryan in Ferncliff. Kevin admits everything, so Jordan places him under arrest. Chase offers to protect Willow and her child. Dante suffers flashbacks about his mission, and Lulu wonders what he’s doing. Kristina tells Alexis she can only count on her family at Dawn of Day. 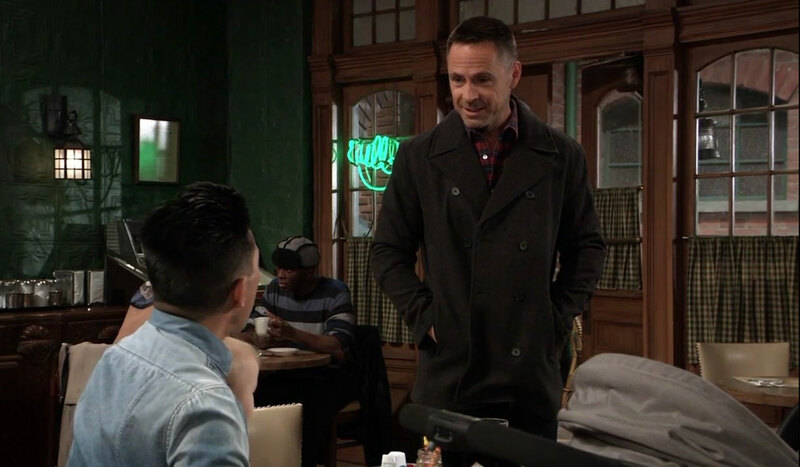 Sonny tells Michael they will do whatever it takes to protect Kristina. Jason warns Shiloh to stay away from his son. Flashback Friday! On this day in soaps, March 22, 2010, Dante took the stand in Sonny’s trial.